Holy Unction, or the Sacrament of the Anointing of the Sick, is conducted the Wednesday before Easter each year in Orthodox churches. The main purpose is for the church to heal and forgive through Christ. The Holy Unction called for seven priests, saying seven readings and seven prayers, and seven oil anointings. 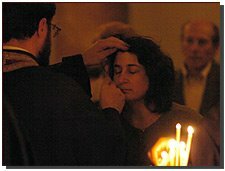 The priest will “heal” the sick by making the sign of the cross on the forehead, tops, and palms of the hands as the grace of God is called upon each person. Holy oil is very concentrated oil that is used in a certain activities in the church like baptism and anointing of the sick it is also referred to in the Orthodox Church as Chrism. The use of the oil in the Orthodox Church in some ceremonies dates back to the early times of the church, by applying the oil on the forehead and other organs of the body to heal the person. This ceremony is called the Holy Unction; the oil carries God’s grace both to renew the body and to cleanse the spirit. 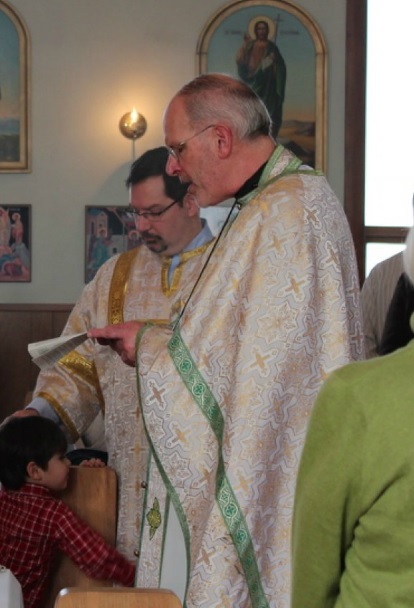 The service follows the apostolic tradition mentioned in the New Testament. People: Lord have mercy. O Lord our God, Who by word alone did heal all diseases, Who did cure the kinswoman of Peter, You Who chastise with pity and heal according to Your goodness; Who are able to put aside every malady and infirmity, do You Yourself, the same Lord, grant aid to this Your servant (Name) and cure him (her) of every sickness of which he (she) is grieved; lift him (her) up from his (her) bed of pain, and send down upon him (her) Your great mercy, and if it be Your Will, give to him (her) health and a complete recovery; for You are the Physician of our souls and bodies, and to You do we send up Glory: to Father, and to Son, and to Holy Spirit, both now and ever, and to the ages of ages. Amen. Located in Ukraine’s capital city of Kiev, Mikhailovsky Monastery traditionally serves as an Eastern Orthodox Church. However, during Ukraine’s revolution from 2013-2014, the monastery served not only as a religious center, but as a hospital as well. Church officials’ graciously opened their gates to the sick and the wounded. After suffering numerous acts of violence from the police, many people were left badly injured, medical care was given within the monastery, and in some cases even surgeries were performed. The monastery also collected blankets, clothes, and medical supplies for those in need. This may have not been a traditional ritual, but Mikhailovsky Monastery demonstrated its religious values through helping the sick, injured, and oppressed in their time of need. The Archangel Raphael is the archangel who provides healing to the earth, and who supervises the healers already on earth. The Orthodox Church celebrates him on November 8, the Synaxis of Michael and all the Bodiless Powers of Heaven. Raphael is mentioned extensively in the book of Tobit, where he aids Tobit in his travels. He is credited with many healing miracles, where he answers prayers by enveloping the needy with his green healing aura. 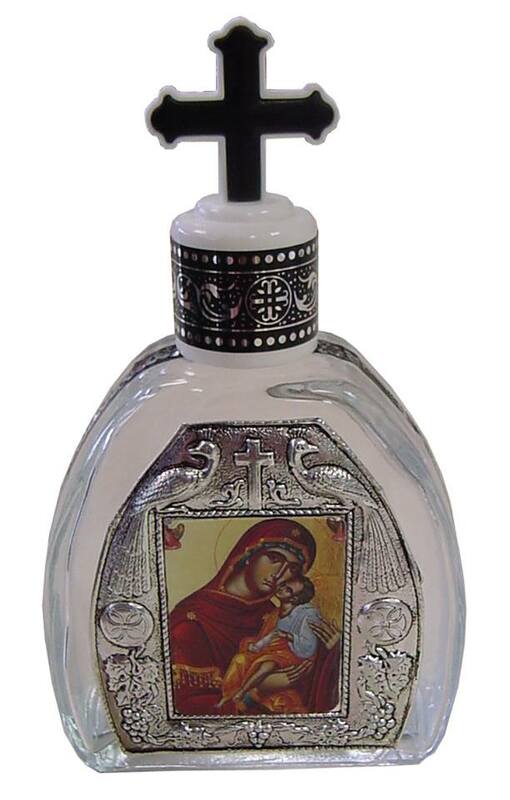 The “Tselitel’nistsa” or “The Healer” icon of the Theotokos is known to perform miracles. The painting of “The Healer” is based on the story of Vincent Bulvinenskey, a cleric. He would venerate and pray to an image of an icon of the Mother of God. In time, his tongue began to rot and he passed out from main. 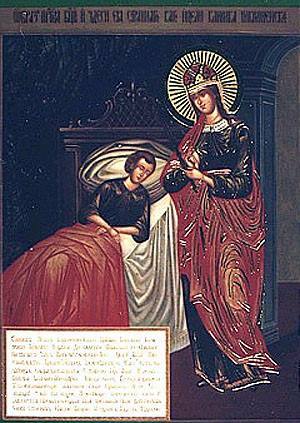 When he awoke, he prayed, his guardian angel was at the end of his bed and called upon the Theotokos to heal him. After he was healed, he returned to church and became devoted to the Theotokos. The image depicts this story of the sick man and “The Healer,” the Mother of God. Since its painting, the icon located in a Moscow monastery had many miracles performed before it by the end of the eighteenth century. Panteleimon is a Greek Orthodox saint who was known for his healing abilities. He was born in Nicomedia as Pantoleon which meant “in all things a lion” but after preforming great acts of healing was given a more fitting title, Panteleimon, which meant “all-merciful.” He was a practicing physician but through his strong religious ethics behind his healing he was supposedly able to preform miraculous acts like healing the blind. He was martyred after he was arrested and beheaded for preforminghealings. In Greek Orthodoxy a feast is held in his honor on July 27th and his icon can be found in many churches and homes. Grigori Yefimovich Rasputin, also known as the “Mad Monk”, was born into a peasant family in Siberia, Russia in 1869. During his youth he gained a reputation for having supernatural powers. 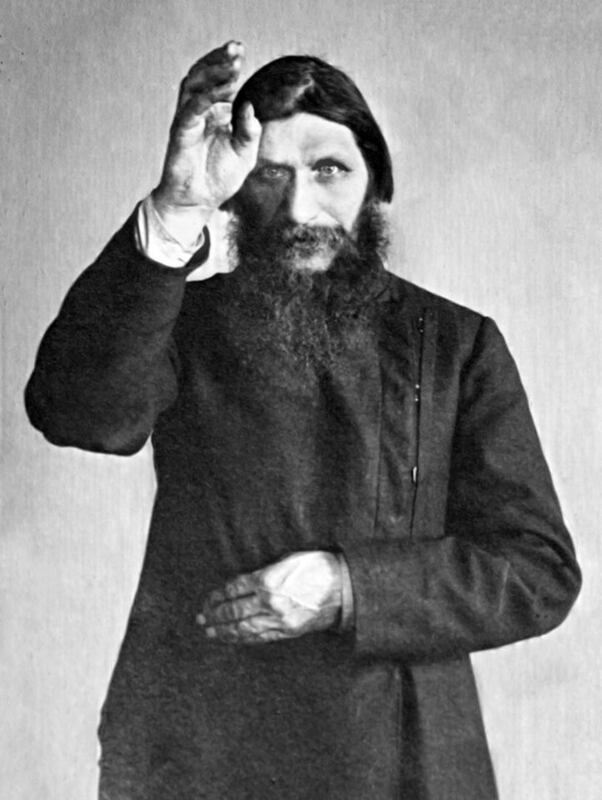 Rasputin attempted to become a monk at the Verkhoture Monastery, he left the monastery to get married. In his early 20s, Rasputin left his family and became a traveller, making several pilgrimages to the Holy Land. In 1903, he arrived in St. Petersburg with the reputation as a mystic and faith healer. In 1905 he was introduced to the Russian Czar Nicholas II and his wife, Alexandra Feodorovna, who were seeking help for their hemophilic son Alexis. Rasputin apparently cured Alexis of his hemophilia and quickly gained the support of Alexandra. During his time in St. Petersburg, Rasputin made many predictions. Including that tragedy would befall Russia during the First World War. These predictions were only made more influential by the support of Alexandra. One of his last predictions was that if he were killed by government officials, the entire imperial family would be killed by the Russian people. Rasputin was poisoned by conspirators on December 29, 1916. The poison did not kill him, so he was shot multiple times. Fifteen months later, the Czar, his wife and all of their children were murdered by assassins during the Russian Revolution, thereby making Rasputin’s last prophecy true. Source: A&E Television Networks, “Rasputin Biography,” Biography.com. Accessed November 5, 2015. http://www.biography.com/people/rasputin-9452162. Also see this unforgettable musical retelling of his story: Boney M., “Rasputin,” Nightflight to Venus (1978). Petrache Lupu was a twenty seven year old Romanian shepherd, who lived in the village of Maglavit. 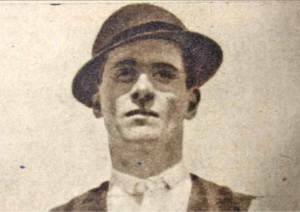 In 1935, he claimed to have seen an “old man” who delivered him a message that he must spread to everyone. In that message, the “old man,” or God, told him that everyone must repent, continue going to church and celebrating festivals and fasting, or else, a great fire will happen and destroy all of their work. It took about three weeks for Petrache to gain the courage to tell his priest what he saw. Even though he got a lot of criticism for his claims, many people started to pilgrim to Maglavit to receive healing prayers from Petrache. Petrache would hold hands with the pilgrims and pray for healing and many pilgrims claimed that miracles happened to them if they slept in the same field where Petrache got the message. One example was Radu Manolescu, who was paralyzed in his hands and feet. After he stayed in the same field as Petrache for a week, he was miraculously healed. Anatoly Kashpirovsky was first noticed after a public broadcasting of a Kiev healing session in October 1989. He became the most famous Kremlin-approved psychics. Kashpirovsky was himself under the impression that he could help people, “I can reverse what was once thought irreversible.” He believed that he had been given the power to heal the sick. In order to reach a large audience, Kashpirovsky had a TV show, where the healing would be planned. A commentator would give a schedule of what healing would be done when. “People with stomach problems should tune in.” Kashpirovsky faded from the public, but in 2009, returned to TV and hosted a paranormal investigation show. In the spring of 2009, he announced that he would start healing services again. in recent years, 16 people have been healed by staring at Kashpirovsky’s photography. 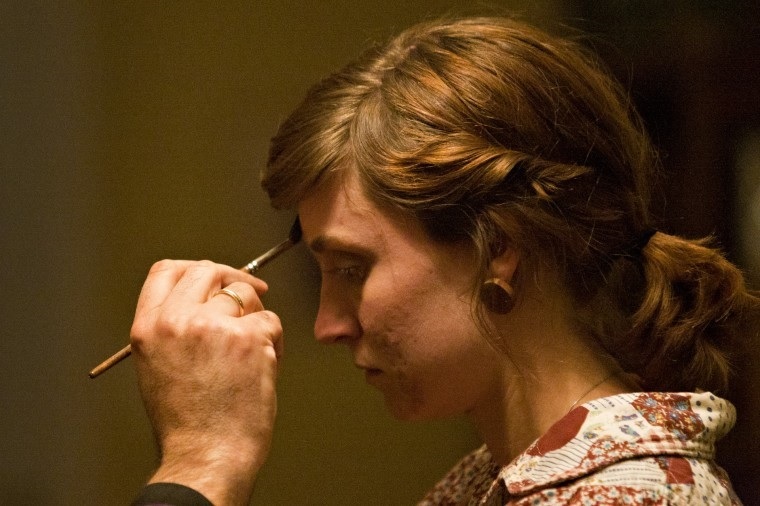 People are critical of whether is a supernatural healer, or con artist. Holy water is a sacramental symbol of purification in the Catholic church and dates back to over 15 centuries ago. Holy water is the most effectve aid to preventing the evil morals of hell which is why people bless themselves, with holy water, in church and at home to prevent such temptations. By saying “by this Holy Water and by Thy Precious Blood wash away all my sins, O Lord,” and blessing yourself with holy water you can purify your soul in the eyes of God. In bad movies about demons possessing people’s souls you can usually see a Priest, or religious minister, sprinkling holy water on the one possessed by the devil. By sprinkling holy water on the “devil” it has a deadly effect because the devil is weak to holy water and all things sacramental. Holy oil holds great importance to the Catholic Church and functions in many ways. 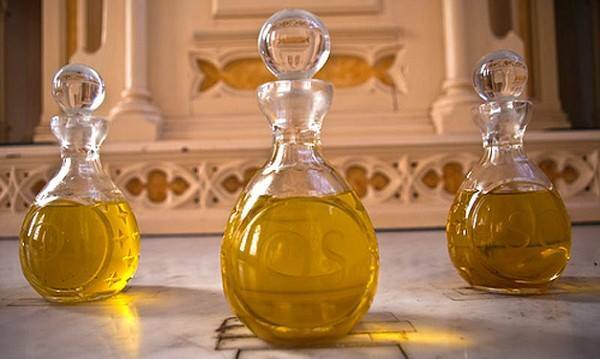 Once created, the oils are consecrated – blessed by a priest so they are held as sacred and holy. One of the many uses of holy oil is to heal the sick. St. James is said to have told priests to anoint the sick with oil in the name of Jesus to aid in their healing. This practice has lasted through time, used in Apostolic times and still used today. Holy oils are also used in the Anointing of the Sick, a ritual which involves healing through Christ’s power. Also known as Viaticum, the Last Rites are the Roman Catholic sacrament for the dying. This sacrament entails a priest administering Eucharist and derives from the Church’s Canon Law which states “The Christian faithful who are in danger of death from any cause are to be nourished by holy communion in the form of Viaticum.” The rite has several steps beginning with a confession or an act of contrition. The Apostles Creed is then said followed by the Priest reciting an Our Father prayer. 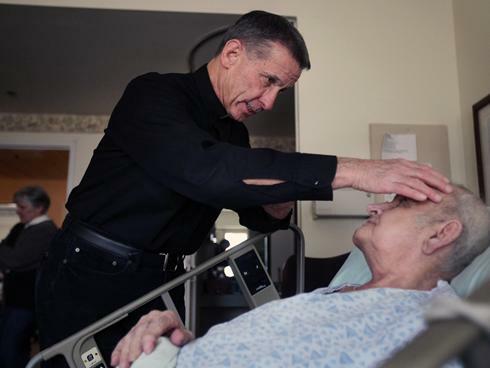 This leads to Communion being administered and the Priest closes by saying “May the Lord Jesus protect you and lead you to eternal life.” The ailing person is also anointed with oil by the priest. This sacrament is used to give comfort, peace, or courage to an ailing persons and also represents a forgiveness of sins. It is the last sacrament received by a Roman Catholic, and prepares them for eternal life after they pass on. While the laying on of hands is symbolic and holds different meaning from religion to religion, for Lutherans it is believed to be a gesture of healing and blessing. For adherents, Laying on of Hands is done initially during Baptism. Therefore it is significant when it is done during absolution, or confession, and when healing prayers are conducted because the gesture serves as a reminder of the baptismal promises that were made. Laying on of Hands is also very important, as it appears in the four Gospels when Jesus touched those who were ill and converted them to health. It is not only a gesture of healing and blessing, but also a way to show care and compassion for others. 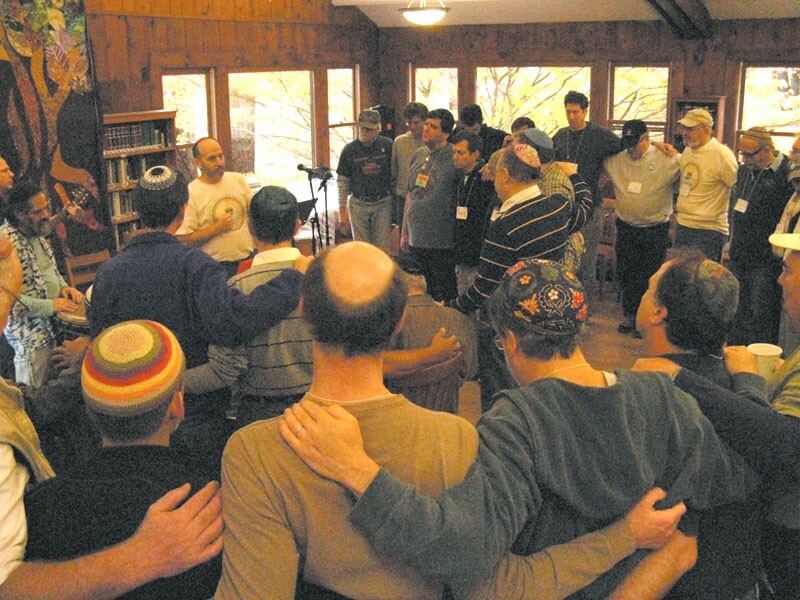 Healing prayers and psalms have been a part of the Jewish faith for thousands of years. One of the prayers is known as Mi Shebeirach. When praying it is important to visualize the person one is praying for in order to send them healing energy, to choose a time of day and location that will allow one to fully concentrate on the healing prayer, and most importantly that the prayer comes from the heart. The Mi Shebeirach prayer asks that God bless them with strength so that they may find the courage to make their life a blessing and the He bless those in need of healing by renewing their body and spirit. Babske refues, or old wives’ medicine, has been an integral part of Jewish healing for centuries. These remedies were based off of easy to find herbs and other household items, and may seem somewhat odd to the outside viewer. For example, a well known babske refues involves inserting a clove of garlic into one’s ear to cure a toothache, and another to drink one’s own urine to cure a cough. These remedies, although they can be found in many books on Jewish life, are more frequently passed down orally from mothers to daughters. They were often administered with the help of the reciting of psalms, or took shape in the form of a charm or amulet. Although the Jewish people of all denominations generally accept Western medicine, these home remedies remain an important part of Jewish culture as a whole.